If you recall this salad, I have a few gym cafe obsessions. They are always fairly healthy options that fill you up in a super tasty way. 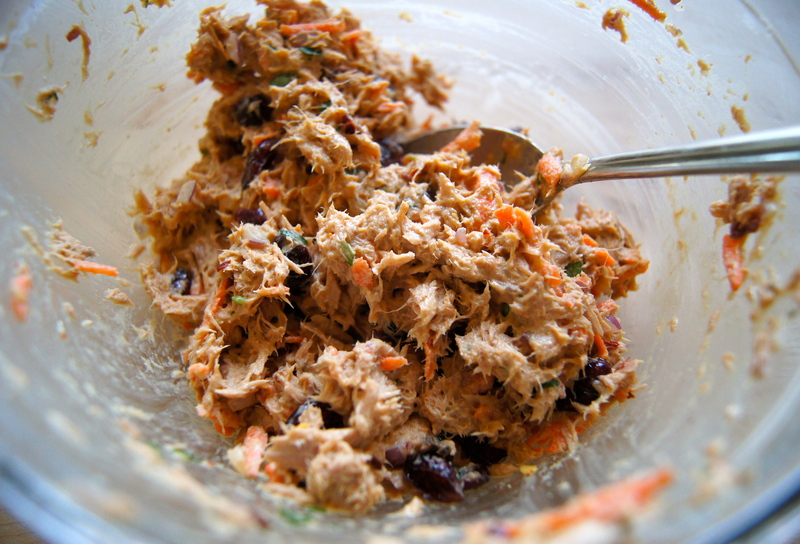 This Asian Tuna Salad is my take on one of their menu items and its nothing short of delicious. The flavors get better as the salad sits so its perfect for making over the weekend and snacking or lunching on throughout the week. Its savory and sweet and full of fresh flavor. In a small bowl whisk together the Tamari, mayonnaise, sesame oil, ginger, chili powder and crushed red pepper until well combined. Set aside. 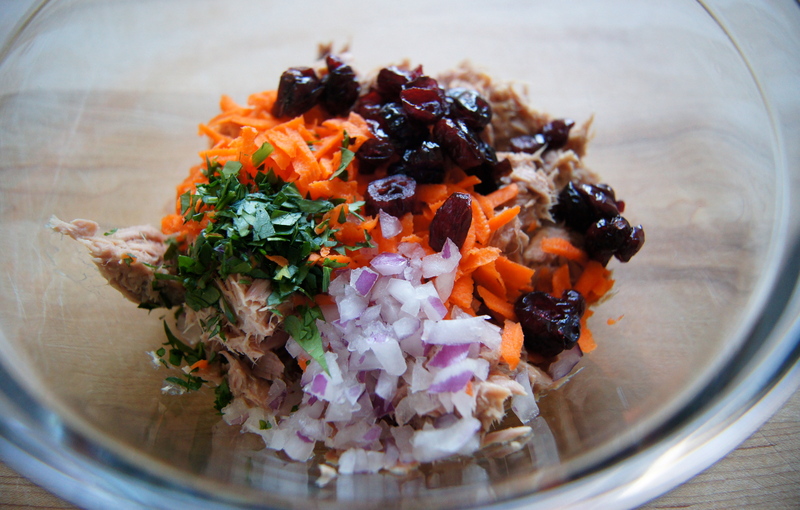 Place the tuna, carrots, red onion, cranberries and cilantro in a medium sized bowl. 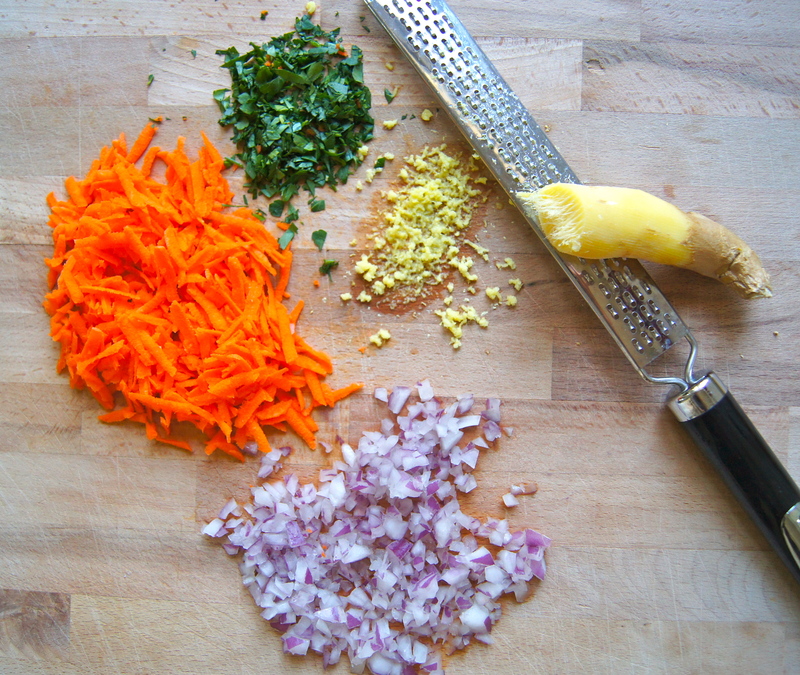 Add the dressing and stir until combined. Serve chilled.